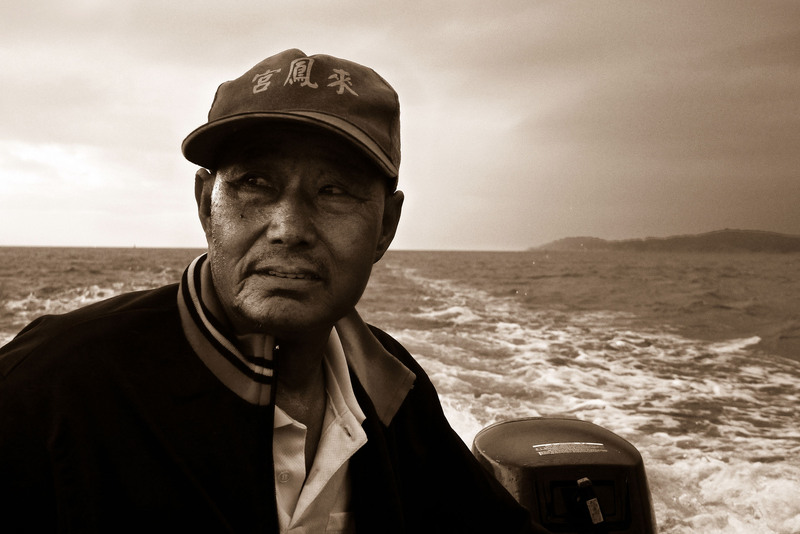 Hung Chun-Hsiu (洪淳修) is a documentary filmmaker and, most recently, the director of The Lost Sea (刪海經). His other films include Fishermen in the City (河口人),《城市農民曆》and《船長要抓狂》. On August 21st, he was interviewed by New Bloom‘s Brian Hioe. The following is the English language translation of the interview. Brian Hioe: So my first question is something you already discussed in the movie but people who haven’t seen the film might not know. 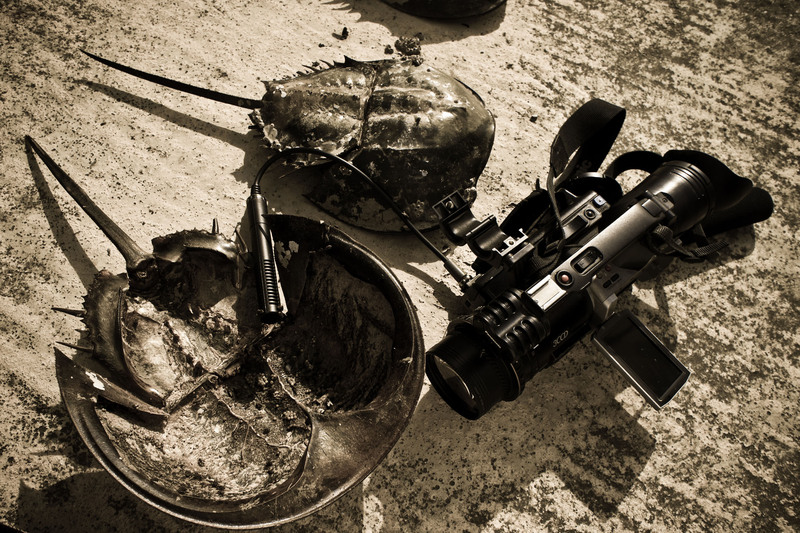 How did you begin filming a documentary about Kinmen Island? Hung Chun-Hsiu: The main character of the documentary is called Ah-Sun, he called me on the phone one day. I didn’t know him beforehand, but he had seen one of my documentaries before called Fishermen in the City (河口人), about the Danshui River. 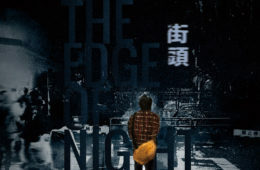 In that film, the fishermen on the Danshui River were facing circumstances similar to theirs. So he called me in the hopes of getting me to film a documentary about their circumstances. But because he called a bit late at night, I was originally not too happy about him calling me. After hanging up on him, he called me repeatedly afterwards asking me to go over and look. Eventually, I was moved by his persistence, because after all, after hanging up on him, still he kept calling me! He might really have had something to say. 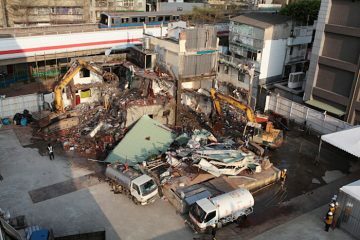 That’s what led me to go over and took a look at the situation in Kinmen. BH: When you made this film, you seemed to have become very close to the Hong family. When I saw you talk after the screening of the film I attended, you said you were still in contact with him. Can you talk a little about what they’re doing now? HCH: Filming a documentary is like that, after you’re done filming, you remain in contact with your subjects. Or at least I’ve always done it that way. I believe a lot of other documentary filmmakers are the same. Ah-Sun, we still talk pretty often. We had to go to France together, for example, and attend a film festival. Our families have become rather close as well. My wife, his wife, and his daughter have a lot to talk about often. It became like that. I want to talk a bit more about the fishermen. This film ended up with the filling of the bay. 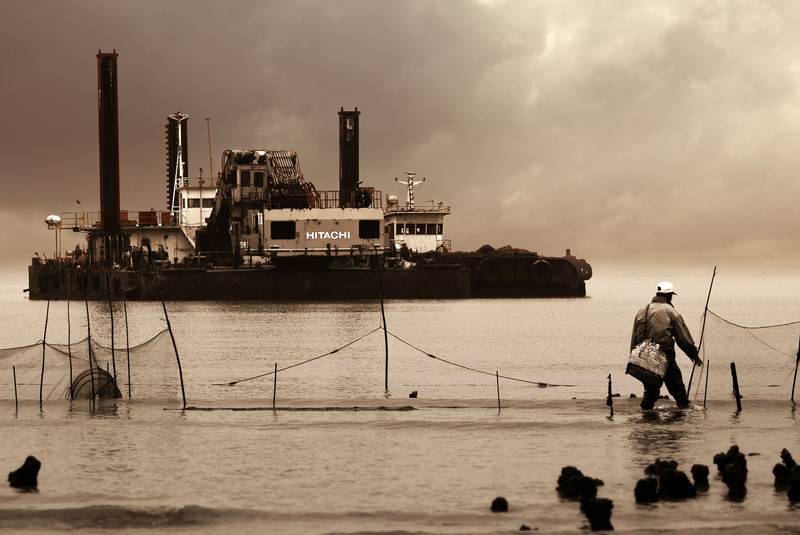 The fishermen need the sea in order to live their lives, now they have to sail their boats further north to fish. Because their sea has been filled, now they have to do that. I hear that there are fish in this area, but there are also plans to fill that area. If after a few years, it is also filled in, it’s a question what the fishermen will do. BH: You mention that the people are now screening the film in Kinmen. This is because the problem still hasn’t been fixed? HCH: That’s complicated. People have screened the film. The public has seen it. The government has seen it, too. But the government will not officially respond. They think you’re just a documentary filmmaker, and you’re not a researcher with an official position and credentials. So they don’t even feel the need to respond to you. Because in Kinmen, we’ve screened it in many places, it becomes such that one thing leads to another. You tell me, I tell someone else, and then people are all talking about it. In the end, the government hears it too. In regards to this problem, in the newspaper, the Kinmen Daily, the government responded saying that we were just saying nonsense. And that what they’re doing is legal. But the other part of this is because the film raised awareness of the topic of the horseshoe crab. The film has led the government to have to hear some oppositional voices from the movie and that other people have brought up. Originally there were roads planned leading to the harbor, but this would affect the survival of the horseshoe crab. Now it seems like they are considering moving the road inland. 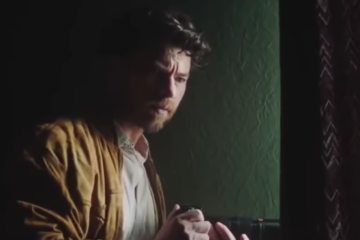 Is this something the film affected? I wouldn’t say it has done so directly, but if our film causes A to talk to B, B to C, and then more and more people to discuss the issue. If more and more people talk about the issue, it will give the government some pressure at the very least. BH: A lot of the people who watched the film seem to be people involved in social movements or people participating in activism. Participants in the civic society. Do you think when these kinds of people watch the movie, it will have an effect? Of course, watching the movie increases their knowledge about Kinmen. But do you think they’ve accomplished anything? HCH: In regards to reactions, I think one is changing the way people think about things. The other is in regards to activism. In regards to the process in which the government does something, they always say “This is good. 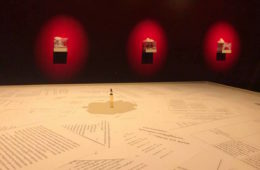 This won’t have negative effects.” But in reality, as depicted in the five years the documentary depicts, the result is that the audience can see that the government lied. Because we can see very clearly the sea has been filled in and the horseshoe crab has lost its habitat. So in regards to changing people’s thinking, it would result in the public being more skeptical of what the government says in public policies. That’s one. On the activism side of things, while there was already a part of the public that was opposing the filling in of the bay, now with a documentary filmmaker having made a film and there being public screenings of the documentary, the government is now afraid to force the issue. That is, they can’t force the issue very strongly. Now they are have stopped work temporarily. They are afraid that if they continue, it would affect the amount of votes they get in elections. After all, Taiwan has elections coming up at the end of the year. The funny thing is when this film was released before elections, so at the very least for one or two years it can it can delay the filling in of the sea. Until after the end of elections, we can have more time to prepare to oppose this kind of process. It gives us more time. 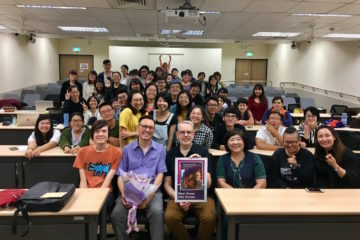 BH: As you filmed this film, did you think of it as though you were undertaking a form of activism in regards to Kinmen? Did you just hope to record as documentary filmmaker? Or were you hoping to be able to be able to have some sort of effect? 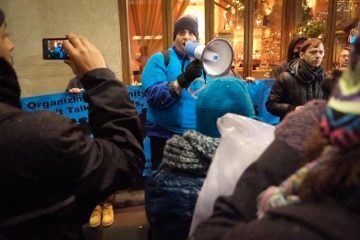 HCH: I always say, after I finish filming, I’d like to go do activism! But everyone’s circumstances are different. Right now, I’m married, I have kids, my wife tells me not to continue like this, to spend more time with the kids, etc. This is my individual circumstance. But I feel, in reality, we spent two, three, four years to prove something, and to call out the government on its lies. I feel this is also a form of activism, because the government said something but then took back its word. Beneath the government, there are hundreds of people who can do research for it, look for reports, look for media, and are willing to help it. The government has a lot of resources. But we documentary filmmakers, the only things we have are a camera and a lot of time in which we can investigate whether what the government says is true or false. To put a spotlight on the government, to expose falsehoods, and to provide for the examination of time. Liars are most afraid of the test of time, we could say. I would say, as time passes, the lies of the government become more and more apparent and it will allow for more people to participate more in activism. Because the “activism” of a documentary filmmaker is to make documentaries. For example, if someone who learns law sees this documentary, maybe they can tell me how to use law to confront the government. I feel that because I am a documentary filmmaker, I use time to investigate what the government says and what is true and what is false. BH: Can we talk about the reaction of international media? First we can talk about the reaction of Taiwanese media? And second, can we talk about the reaction of international media? You said before that in France, it was reported that the film was aimed at attracting more tourists to Kinmen. HCH: Ah, that wasn’t actually the French media that said that, that was the Taiwanese media. HCH: When I talked to the Taiwanese media, they wrote I was helping to advertise tourism in Kinmen. Of course, I wasn’t, I think Kinmen needs to properly conserve its ecology rather than promote tourism. We haven’t really gotten into international media, but we’ve gotten responses from an international audience. For example, when we went to France the reaction was, like you asked before, they asked, “What are these people doing now? How are the fishermen?” So I would tell them, now the fishermen must go farther in order to fish, or they have no fish to catch. So what the people outside of Taiwan’s reaction is different from the view of Taiwanese audiences. Taiwanese don’t always see the broader perspective of America and China in the background. 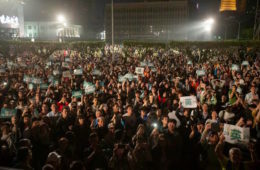 When Taiwanese find themselves questioning something after watching the film, they ask, “Why would Kinmen’s government do this?” rather than think about this background. How I feel is that when some people want to protect the environment, they will establish protection groups, of which political parties might emerge. 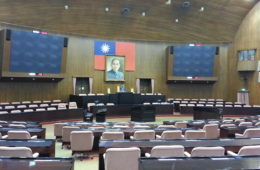 But Taiwan’s Green Party, though it exists, can’t attract votes or get assembly people. This is the impressions that French people gave me, which made me quite surprised. It felt like they understood Taiwan better than Taiwanese sometimes! BH: I see. Would you say that for you in the film, Kinmen represents something about the state of Taiwan, as in the historical contradictions between Taiwan and China? HCH: Kinmen definitely represents something about Taiwan’s situation because it faces many of the same problems. Kinmen can reflect the interior state of Taiwan because of it being caught between China and America in the larger view of things, and also in regards to the question of independence. 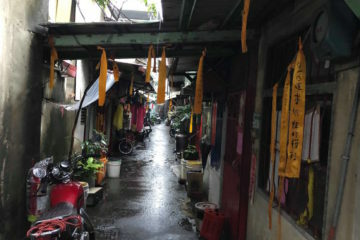 These issues are also more visible in Kinmen compared to Taiwan. Can I go into the history a bit? HCH: Kinmen is only two kilometers from China, whereas Taiwan is three hundred kilometers from China. But Kinmen is controlled by Taiwan. And that’s a very contradictory thing. My film, through the lens of the horseshoe crab, sought to bring out these kinds of contradictions. Kinmen is so close to China and bears the traces of war, but because Taiwan’s government wants to do business with China, it had to be that it opens up some ports. That has affected the preservation of the horseshoe crab. Which is to say, the war with China was good for the horseshoe crab, because it created an environment for the horseshoe crab to survive. But now, actually, becoming closer to China for the sake of the economy is not necessarily a good thing. I think that’s like the circumstance of Taiwanese people. Taiwanese people, most of them, are descended from people originally from Fujian Province in China. 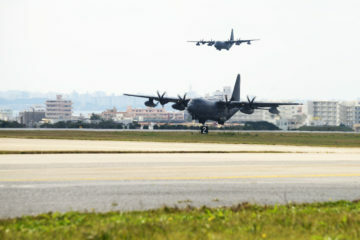 But because of war and the poor economy in China and other causes, they came to Taiwan. And since then, we’ve been here hundreds of years and many generations. 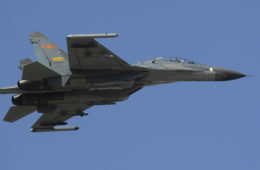 To establish good relations with China, after a period of war with China, our environment has been disrupted. 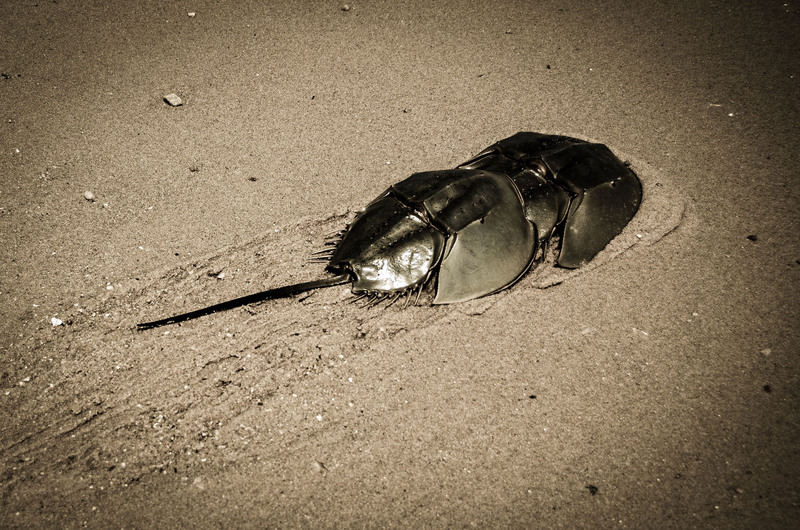 I feel like the existence of the horseshoe crab is one caught between two shores and between war and peace. Taiwanese are like the horseshoe crab in that way. It’s not just that the history of Kinmen has been misunderstood. Because Kinmen is so close to China, it should naturally be part of China, but in order for the Chiang Kai-Shek government to maintain its territorial claims to China, it occupied Kinmen. And, even then, Kinmen wasn’t counted as part of “Taiwan Province” but part of “Fujian Province.” So Taiwan would still have a Fujian government. This is the misunderstanding of history. But it’s not just Kinmen. 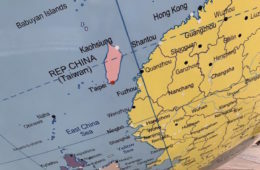 In the ROC Constitution, it’s even written that not only that Taiwan is Chinese territory, but Xinjiang, and the entirely independent country of Mongolia are part of our territory. That’s also a very contradictory thing. 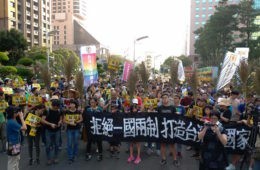 But Taiwanese people are unwilling to address that history. I want to use the lens of the horseshoe crab to clarify these things. Is there any way to resolve these things? I think history must be clarified in order to do so. It’s the only way to clarify things in the muddled world of political ploys. BH: So you would want the audience to be able to see this history in the background of your film? Like the deeper, structural causes. HCH: Yes, I would want Taiwanese to see the reality they are unwilling to confront. Because we aren’t the same country, after all. But our government wants to muddle this issue. I think this kind of muddling might be good for the economy in the present, but for the long-term sustainability of the country, it’s not a good thing. In the end, you have to pay the price. How can it be that China lets you continue to muddle things? In the end, it will be forcibly clear. Ecology, Economy, and the Environment: Who Really Cares about the Land? BH: What is next for you as a director? Would you want to film more documentaries regarding ecological issues? Or issues of Taiwan and China? HCH: Yeah. In Taipei, the largest river is Danshui River, in the past I filmed a film about a problems there. 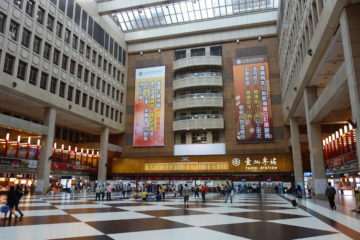 In the place where the river and enters the ocean, there’s a port called the Port of Taipei. It’s the same problem as Kinmen. For the purpose of welcoming Chinese trade, in order to have trade back and forth, it becomes the outport harbor of Taipei. Like Shanghai. Shanghai has a harbor. There’s also the desire for Taipei to have an iconic harbor. But after building it, Chinese boats didn’t come. The claim of the government that all these people will come from China didn’t happen. The other is, after building this harbor, it created problems for Danshui. The south part of the port is eroding the seashore. So I feel this is what I want to film now. Once more, because of the pivot towards China for the sake of business, it has become something which destroys the environment. And the results haven’t been beneficial for the economy either. This is what I am interested in further considering. BH: Lastly, do you have any closing comments? HCH: In regards to ecology, can we actually discuss that more? You brought up the question of whether Kinmen should have further connections with Taiwan in terms of ecology. 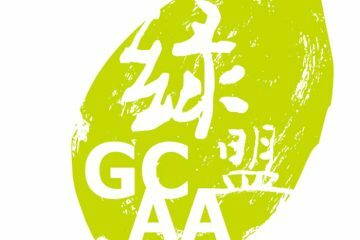 Something we have to consider is concerning the world, what Taiwan’s uniqueness is. If you talk to someone about skyscrapers or finance or economy, Taiwan will never be at the top. But I feel like we have a plentiful ocean environment. This is our special characteristic. What we advertise publicly is building skyscrapers, harbors, or roads. Modernization. But I think this damages what is actually our special characteristic. European tourists, I believe, they don’t come to Taiwan because they want to see Taipei 101, or high-speed highways, or hardware establishments, or go to pubs. Compared to elsewhere, Taiwan isn’t up there. You tell them to see Taroko Gorge, or the horseshoe crab, I believe this what attracts European tourists. And their spending power is relatively high as tourists. The government is not interested in this bit, they want to attract tourists. Chinese tourists have lower spending power, but they come in larger numbers. So to target Chinese tourists, we have to bring in larger amounts to match the spending power of smaller amounts of European tourists. Our government’s view of tourists is always oriented towards bringing in large numbers of Chinese tourists. Bringing larger amounts of people is more damaging to the environment. If larger amounts of tourists come, water usage, garbage, and transportation rate of flow will also increase, and Taiwan has no way to endure. Taiwan’s government hasn’t figured out where Taiwan’s particular characteristics are, but wants to use a short period of time to establish the economy as much as possible. It doesn’t have much feeling or care towards the land. 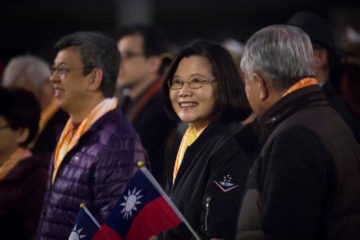 I feel more or less with the KMT, it’s a political party from China, so it doesn’t have much connection to Taiwan. When it comes to economy, if they don’t lean towards America, they lean towards China. They don’t stay on Taiwan, because they’ve already damaged Taiwan in order to make as much money as possible. So I would use this as a way to answer your last question as to what I want to say. 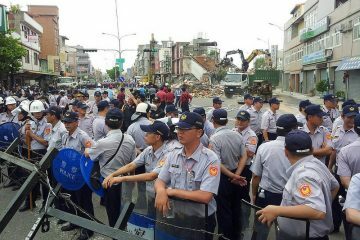 Taiwan’s interior problems need to be resolved. Some people living in Taiwan think they are Chinese. Other people think they are Japanese! Lee Teng-hui says he is Japanese! But there are other people who think they are Taiwanese. When Taiwanese who think are Chinese see Chinese tourists come they think, this is great! These are our compatriots! On the other hand, I don’t feel I’m Chinese, I’m more interested in seeing Americans or Japanese come, that’s better for me. So I think the question of identification for the country isn’t resolved, but without that resolution, a lot of fundamental questions can’t be resolved. A lot of these problems return to the question of the identification of the country, why not attract European tourists rather than Chinese ones? But for Chinese people to hear, they wouldn’t feel so good, that you’re just being contrary. BH: It’s a more broadly a question of the economy and freedom. 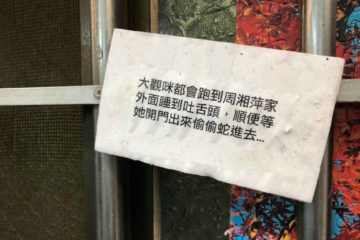 HCH: You give up your freedom in order to establish the economy, as in media monopoly, that the Taiwanese media ends up being controlled by China. We go back to the economy because it’s a way of making money. But you pull away people’s freedom in order to make money. And the money doesn’t enter our pockets either. They enter the pockets of capitalists. But let’s say you make money, you build a factory, you harm the environment, it’s us who stay in Taiwan, fishermen and farmers who endure the pain of the destroyed environment, breathing in polluted air, drinking polluted water. In Taiwan you establish media to say how good China is, but you lose freedom. 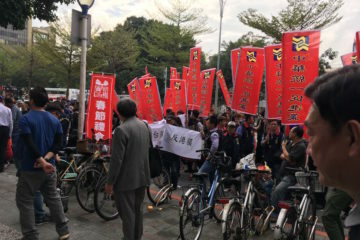 When capitalists make money, they can run off to America or wherever, they don’t need to stay in Taiwan being affected by the Chinese economic expansion. Most Taiwanese don’t see this side. It goes back to what the French people said! People only think about making money. And the government whitewashes it all. More fundamentally, it goes back to the question of identity. This is the kind of stuff we need to pull out into the public.